It’s fun to fantasize about quick and easy money in the stock market. Capitalizing on this fantasy, the world of penny stocks holds the promise of instant and effortless riches. It’s as easy as capturing a rocket ship to the moon mid-flight; just get in at the right time, and enjoy the ride to massive profits, right? Hold on there – it’s not always going to be as simple as that. Bear in mind that there is gravity in the markets: no stock goes up all the time, and anything that goes up fast can come down just as quickly. Before you jump in headfirst, let’s explore the steep heights – and the deep valleys – of penny-stock investing. Let’s get one thing straight right off the bat: penny stocks don’t necessarily cost a penny. In fact, according to the U.S. Securities and Exchange Commission, stocks costing under $5.00 are, strictly speaking, considered penny stocks. So, even if a stock is indeed a penny stock, that doesn’t necessarily mean you’ll be able to afford a boatload of shares. Another term to know is sub-penny stocks: these are stocks that cost a fraction of a cent. You might be surprised to see how many zeros they’ll have to the right of the decimal point in some instances. You might end up having to purchase thousands or even millions of shares just to have a dollar’s worth! Thus, the term “penny stock” covers a surprisingly wide range of price points. It also covers a wide array of sectors and companies, ranging from biotechs to gold miners to shipping companies, and just about every other type of micro-cap company you can think of. You might be wondering why anyone would be interested in buying these über-cheap stocks. 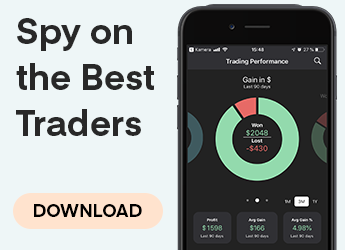 One appealing feature of penny stocks is their affordability: compared to mega-cap stocks like Apple and Amazon, penny stocks are within the budget of practically every trader and investor. There’s also the potential for huge returns; that’s the primary appeal of penny stocks for unseasoned traders and investors. And it is true: on occasion, penny stocks double, triple, or even quadruple in value within a short period of time. How is this possible? It’s because of a simple mathematical reality: it’s easier for a stock’s price to double from $0.01 to $0.02 than it is for a $1,000 stock to double to $2,000. The market momentum of a thousand-dollar stock just isn’t as strong as the potential momentum of a stock that only costs a penny. But let’s look at it from a different angle: a thousand-dollar stock probably represents a solid, well-established and highly respected company with a long history and plenty of available capital. In other words, based on the company’s fundamentals and its longevity, there’s probably a good reason why that stock is so expensive. And, conversely, there might be a good reason why a penny stock is so cheaply priced. As my mother once told me, “You get what you pay for,” and although stocks might not always be perfectly priced, there is some truth to the idea that pricey stocks tend to have a more solid reputation than extremely low-priced stocks. In fact, you might even encounter some penny stocks that are vehicles for pump-and-dump schemes, in which moneyed investors manipulate the stock’s price to their advantage: they buy shares at a low price, convince their victims to purchase shares at a higher price, and then sell or “dump” their shares for a profit. The victims are left “holding the bag,” so to speak, as they will now be the hapless owners of a stock that they bought at a higher price and is now worth much less than that. That’s right: investing in penny stocks can bring you wealth, or it can leave you penniless. Don’t get me wrong – not all penny stocks are part of a pump-and-dump scheme. However, you still need to be aware of the risks involved if you’re considering taking a position in penny stocks. As with any type of stock, look closely into the company behind the stock before buying shares: is the company profitable, or debt-ridden? Does the company have a solid reputation and a reasonable amount of capital? And, is there enough daily trading volume in the stock shares to justify buying and holding onto that particular stock? The point is that there are plenty of questions you’ll want to answer before jumping into the volatile playground of penny stocks. If you have any doubts or concerns, remember that you can simply choose to save your hard-earned money, and stay out of the game altogether.